I have developed this website to help those who are interested in soapstone and the carving of soapstone. I am Sandy Cline, and I have been creating soapstone sculptures for over 55 years. When I was just starting to develop an interest in sculpture, I was fortunate enough to discover a book on sculpture by Malvina Hoffman. Her writings and sculpture inspired me to pursue the life of a sculptor. It was not many years after I started carving stone, that I was induced into teaching a workshop in soapstone carving at the Buffalo Museum of Natural Science. Since then, I have been passing my knowledge to students throughout Canada and the United States. I believe that everyone is capable of carving soapstone. You may already have the picture of what you want to make in your mind. All you need is the stone, the tools and a mentor to show you how to bring it out of the stone. As Malvina Hoffman wrote in her book, "Sculpture Inside and Out", "Sculpture can not be taught, it needs to be experienced". Throughout the years I have been teaching sculpture, I find that my students have taught me as well. They have told me that in watching how my hands work the stone, they can see how they can achieve the desired look they were striving for. Remember, you can never make a mistake, you have only changed the design. It is the artist's prerogative to have the ability to change the design to whatever he desires. This year I was invited to be part of a coffee table book called "The Artists of Kawartha"
I have worked with many students in 50 years, but the the most pleasure I was accorded was the opportunity of teaching and working with Ropey Atsiqtaq, a blind Inuit from the Northwest Territories. I teach a Soapstone SculptureWorkshop intermittently at the Whetung Ojibwa Centre, Curve Lake Indian Reserve, just north of Peterborough, Ontario. We generally hold weekend workshops but five day workshops can be arranged. 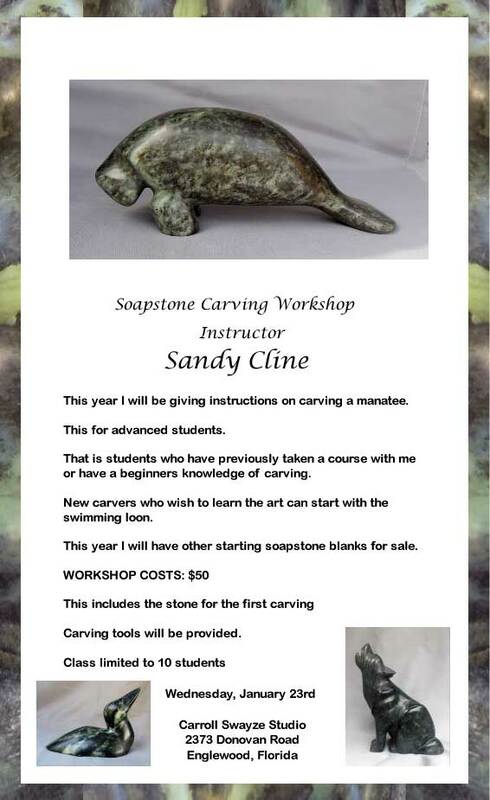 This workshop will provide a general introduction to the carving of soapstone. You will develop a working knowledge of the material, the tools, safe handling issues and the methods used to complete a carving. Beginning with a study of the properties of the stone, you will produce a simple piece and progress to making a sculpture of your choice. The development of your own personal style will be encouraged. All the tools necessary will be provided by the teacher. The stone for the first project, a "Swimming Loon", is included in the class fee. There after stone cost for this course will depend on the size of the project or projects chosen. Stone will be $3.00 per pound. An average carving generally will use 10 pounds of stone. You should bring towels or bubble wrap to carry home your finished carvings. Contact Whetung Ojibwa Centre to register. This year I will again be teaching a five day workshop at William Holland Retreat in Young Harris, Georgia. Spring dates are April 29th - May 3rd. Fall dates are September 29th - October 4th. 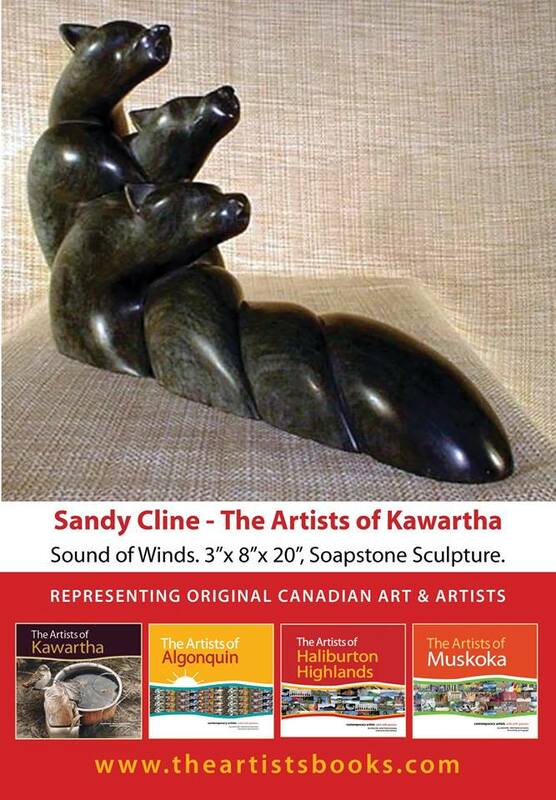 My Sculptures are presently being sold through Whetung Gallery at Curve Lake, Ontario. I try to regularly update the New Work pages with the new carvings I have finished recently. 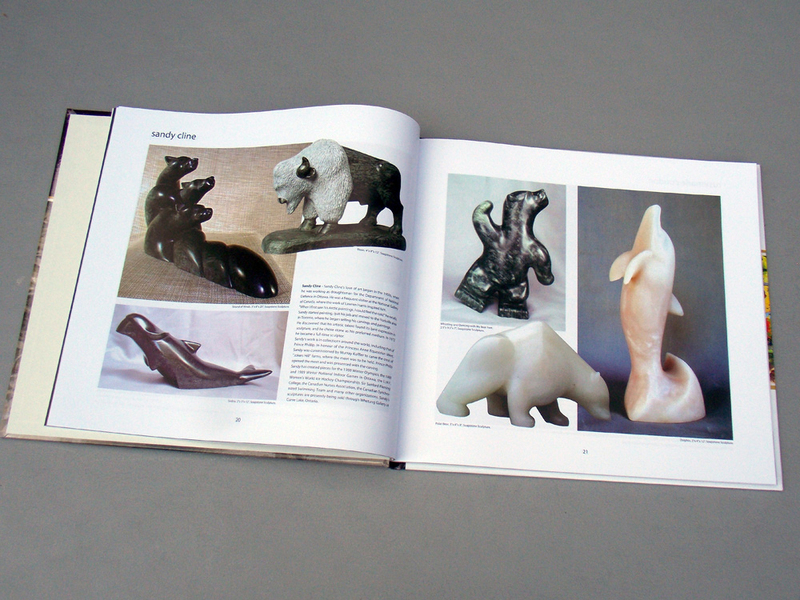 On these pages, you can view some of the latest sculptures and those still available to purchase at the Whetung Gallery. This is my show schedule; There you can find out where I will be showing and demonstrating in the future. I also try to post photos of the events I have already participated in. In there, you will also find photos of students work from past classes. Regularly I will receive an email regarding possible health risks of working with soapstone. I have found that the answer depends on the occupation. If you ask a doctor, there is very little health risk. If you ask a lawyer, there is a very serious health risk. I can not say that there is no health risk, it is just that I have not found a verifiable health risk to this date. This information has been gathered for those who have carved and those who wish to. There are pages for beginners and school children showing how to make Simple Carvings. There you will find instructions for making heart and arrowhead pendants, a simple mouse and a seal. Then there are pages for making more Advanced Carvings.